The parathyroid glands are four, small, pea-shaped glands that are located in the neck on either side of the trachea (the main airway) and next to the thyroid gland. In most cases there are two glands on each side of the trachea, an inferior and a superior gland. Fewer than four or more than four glands may be present, and sometimes a gland(s) may be in an unusual location. The function of the parathyroid glands is to produce parathyroid hormone (PTH), a hormone that helps regulate calcium within the body. Illustration of the Parathyroid Glands What is a parathyroidectomy? Parathyroidectomy is the removal of one or more of the parathyroid glands, and it is used to treat hyperparathyroidism. Hyperparathyroidism is a condition in which the parathyroid glands produce too much PTH. If there is too much PTH, calcium is removed from the bones and goes into the blood, and there is increased absorption of calcium from the intestine into the blood. This results in increased levels of calcium in the blood and an excess of calcium in the urine. In more serious cases, the bone density will diminish and kidney stones can form. 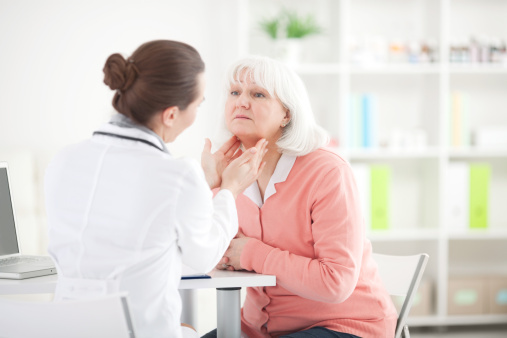 Other non-specific symptoms of hyperparathyroidism include depression, muscle weakness, and fatigue. Every effort is made to medically treat or control these conditions prior to surgery. These efforts include avoiding calcium rich foods, proper hydration (intake of fluids), and medications to avoid osteoporosis. Dr. Bredenkamp recieved his medical degree from the University of California, San Francisco School of Medicine. He then went on to serve a six year residency at the University of California, Los Angeles School of Medicine in the department of Surgery.